Brief: Design a cover and spreads for a non-commercial magazine exploring unconventional travel destinations. 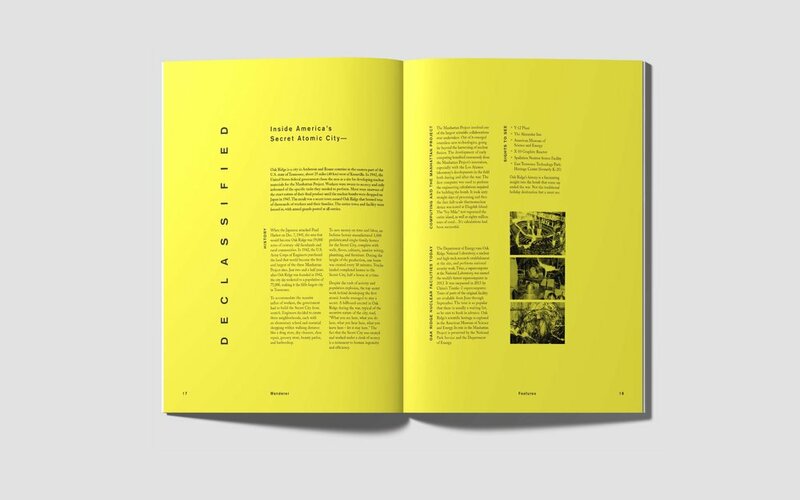 Solution: For the cover, instead of choosing a photograph or creating an illustration to allude to a physical location, I focused on the concept of the magazine and created a collage using unconventional shapes and pairings of colors. 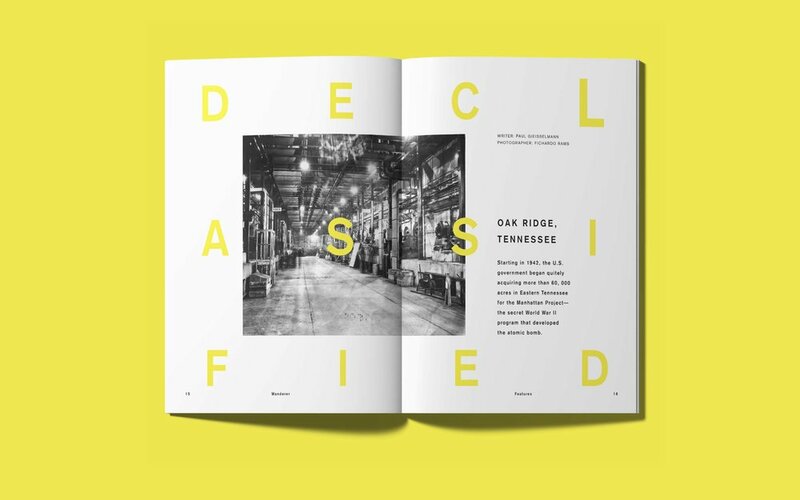 The design for the inside spread was inspired by the actual article, which featured Oak Ridge as the city where the development of the atomic bomb took place during WWII. Rather than glorifying the science that went behind this project, I thought about highlighting the destruction that these atomic bomb had brought upon Japan. Initially, I ripped holes in the photographs to reference atomic craters. Then, I simplified this concept with large typography spread across the page.